How West Houston’s Democratic voters decide in the 7th Congressional District runoff on Tuesday will have outsized implications for national Democrats' optimism and tactics in the fall. HOUSTON — Houston Democratic players are now calling what was once the wildest Democratic primary in the state a word not spoken often in Texas politics: boring. But even as local political junkies are tiring of the national drama surrounding the 7th Congressional District's Democratic primary in west Houston featuring attorney Lizzie Pannill Fletcher and activist Laura Moser, what happens here Tuesday night will have outsized implications for national Democrats' optimism and tactics in their bid to take control of the U.S. House in the fall. It all started when the House Democratic campaign arm, the Democratic Congressional Campaign Committee, took the unusual step of dumping a tranche of opposition research on Moser, a member of their own party. The objective was to knock her out of the seven-way primary to challenge U.S. Rep. John Culberson, R-Houston, because national operatives believed Moser is too liberal for the district and has some liabilities that could take the seat out of contention in the fall. The race was instantly nationalized, and locally, it was the talk of the town. Moser was able to capitalize on the backlash, coming in second to make the runoff with Fletcher. Liberal anger over the DCCC's attempt at sabotaging Moser still surfaces on social media and in other pockets, but three months later, locals are tired of hearing about the DCCC and ready to move onto the general election. At a forum featuring the two candidates on Monday night, the DCCC issue did not even come up. Instead, participants – mostly high school students – focused their questions on issues like the environment. There were minimal fireworks. Things have gotten so boring in the race that some political observers wondered why anyone would schedule a congressional forum on the same night the Rockets had a playoff game. A mildly exasperated moderator struggled to glean policy differences from the candidates and wondered why it mattered for him to vote for one woman over the other. Their answers to his query sum up the current Democratic Party, and to people who can't vote in this race — deeply invested Democratic activists and operatives who live outside of the district — each woman is an avatar for opposing sides of a deeply divided party. Moser promises to excite the liberal base and bring new voters into the fold. Fletcher aims to appeal to Republicans and moderates who are disgusted with Trump and current GOP leadership. “I believe that I’m the candidate you should vote for because we cannot run the same types of campaigns and expect different results,” said Moser. "I believe with my history of grassroots activism and involvement and bringing new people into the process." In interviews, forums and television ads, Fletcher leans on her mostly lifelong residence in Houston. "I disagree with Laura when she says she is the only candidate who can talk to voters from across our community about issues because that's what I've been doing for nearly all of my life," Fletcher said of her volunteer work with the local Planned Parenthood chapter and other Texas progressive groups. The comment was a subtle jab at Moser, who spent much of her adult life in Washington and moved back to her childhood stomping grounds last year. "It’s not veiled. It’s not veiled," Moser said. "Her whole thing is who has lived here the longest, and no one in Houston cares," Moser added, noting the sizable immigrant population in the city and district. "The kind of 'Gone with the Wind' Tara thing doesn’t feel relevant, but it’s not subtle." Even amid the contention, it remains an open question whether the race will actually be competitive in the fall. Houston is one of the most expensive regions to run campaign ads, and it’s easy to imagine decision-makers in Washington cutting bait in the bayou if the political climate darkens and they need to marshal resources toward cheaper media markets. And then there is the question of whether national Democrats will even bother investing in the race if Moser is the nominee. The DCCC is far more careful in how it approaches this race now compared to February. But it’s plain the committee prefers Fletcher. She also has the backing of EMILY’s List, which is often a player in the fall campaigns of their endorsed female Democratic candidates who back abortion rights. It’s hard to imagine the DCCC, many members of Congress and EMILY’s List changing lanes after all of the drama in the primary and going on to spend millions on Moser in the fall – but it’s a weird climate this cycle and stranger things have happened. All surface signs indicate that Fletcher has the inside track on winning the nomination on Tuesday. 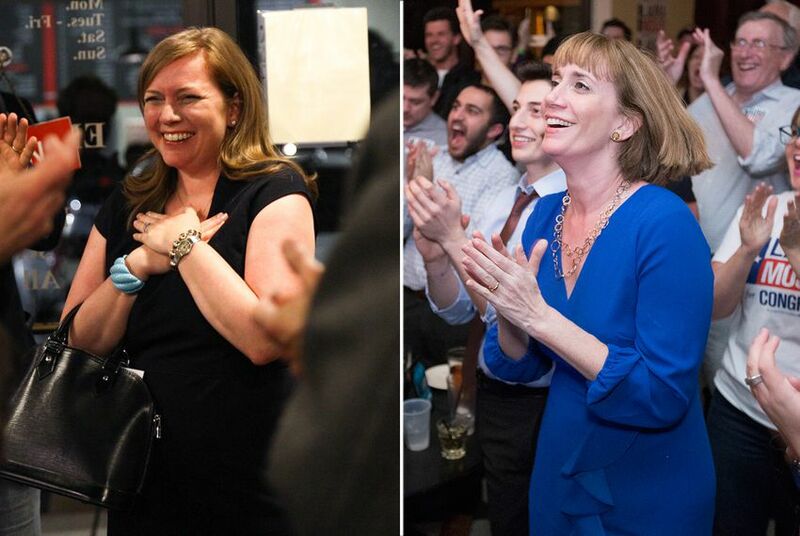 She placed first on March 6, she has raised more money and started the runoff period with a cash-on-hand advantage of nearly $200,000, she has modest television presence in the runoff, and EMILY’s List has spent about a quarter of a million dollars backing her. Moser blames the DCCC for losing out on donors. "I was shut out," she said. "The DCCC definitely funneled all the big donors in Houston to [Fletcher] and I didn’t get them. And so she’s on TV." Moser suggested that her small-dollar donations could prove more formidable in the fall because few of her contributors have maxed out to the federal limits. And the normal metrics did not always prove to be indicators of success on the primary night in March, and nearly everyone involved in or watching this race is bracing for unpredictability. Moser is betting on her grassroots operation. "I am the candidate who is out there, who has 2,000 volunteers walking throughout the district," she said at the forum. "Everyday, I talk to people who have never been contacted because no one cares." She also invoked former President Barack Obama in her strategy. Her husband, Arun Chaudhary, was integral to Obama's first campaign, and he went on to work in the administration. The family was the focus of amusing photos from the Oval Office when her daughter threw a tantrum in front of the president. "It's hard. Barack Obama spent $350 million in 2008 to move the needle ... and it worked," she said. Whichever candidate's strategy is most effective in the primary does not guarantee winning in the fall. The last time a Democrat ran a viable campaign for this seat was back in 2008, during the Obama presidential wave. This is a historically Republican district. It reaches into the Katy suburbs, and it’s home to U.S. Sen. Ted Cruz and former President George H.W. Bush, along with a host of Republican stereotypes — oilmen and lawyers at places like Baker Botts who frequent the Houstonian for meetings over whiskey. The reason for all of this national Democratic optimism, however, is how 2016 played out in the communities along the I-10 freeway. Hillary Clinton carried the seat by a point — a massive swing from Mitt Romney’s 21-point margin in 2012. What worries some local Democrats is they fear Clinton’s performance was the high-water mark, a result more of Trump’s incendiary nature than a massive demographic swing, and that all of this national infighting in their backyard will be for naught. Culberson, after all, carried the district in 2016 — albeit against a nominally performing opponent — by 32,000 votes and is sitting on nearly $1 million for the fall. Possibly, the larger aim among Harris County Democrats is to carry the county — a feat not done during a midterm in recent memory. Long before Moser or Fletcher ran for Congress, operatives and donors were working to build an infrastructure in Harris County that would not just elect local officials but run up the vote totals that could someday make Texas competitive statewide. But investments from the DCCC to win the Texas 7th Congressional District could do much to achieve that county goal and elect a slate of local officials. "I think there will always be skeptics and there will always be naysayers, but I've spent a year now on the campaign trail,” Fletcher said in response. “There are people who are showing up because they share the concerns that I do ... that our country is headed in the wrong direction," she added. Moser agreed with the worriers. "This is a Republican district, and I have not had any illusions about that," she said. "Whoever wins Tuesday night has a tremendous responsibility on their shoulders to carry something that might not be carryable yet. And that is why I think my strategy — which, granted, has a lot of unknowns — is the only one that could work." The debates over tactics and the political mood have left both the district's constituents and political observers nationally with a host of questions. Will Moser’s theory of bringing a flood of new voters into the fold prove right? Or will it be Fletcher’s attempts at crossover appeal? Is this even a real race? Will the DCCC spend on this race in the fall, even if the nominee is Moser? Will Republican have match the spending as well? What is clear is that millions of dollars of campaign spending, and in some ways the future of the Democratic Party, ride on what West Houston’s Democratic voters decide on Tuesday. Disclosure: Planned Parenthood has been a financial supporter of The Texas Tribune, a nonprofit, nonpartisan news organization that is funded in part by donations from members, foundations and corporate sponsors. Financial supporters play no role in the Tribune's journalism. Find a complete list of them here.